It is located at Yamasa Kamaboko Yumesenkan, Himeji, Hyogo. I think this phone number may be helpful: 0081 793351055. There is this factory producing fish paste, and a nice souvenir shop, matcha ice cream. 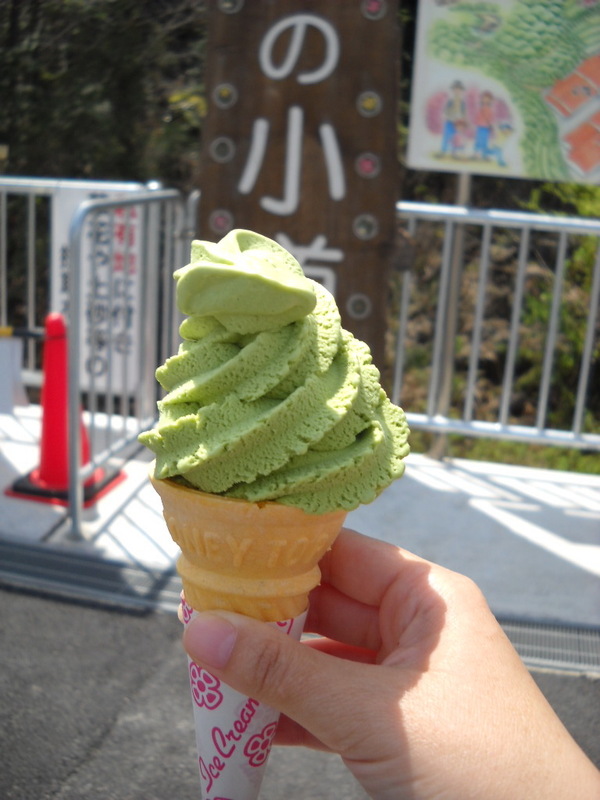 Matcha is green tea powder. I love it in various ways - in salt, in cakes. You can all choose on the main page of this blog among the four options - whatever you are interested in reading on my blog. Your preferences are very important to me. Since I am posting with some gaps lately, you can "Follow by Email" - just fill in your email address at the bottom of the page, and you will receive the next posts in email, without having to search on this website. I will be unable to view your email addresses, so you are safe when it comes to that.